One of the most reliable and powerful self-defence tools for women is the stun gun or the stun baton. A stun gun has built-in features to subdue an attacker. It is usually made of durable material such as aircraft grade aluminium along with a belt holster support for easy access. Some designs come equipped with LED support to distract the enemy and help you move away from the scene. This is non-lethal but boast Intimidating sound as high as 95 dB & vibrant LED flashlight with up to 130 Lumen rating. Some stun guns also include lasers offering an added layer of protection and more control over foiling an attack. A stun baton is equally effective; it is made of strong material and is very portable. The collapsible design enables you to inflict painful shock, numbing the attacker so you can quickly get away. 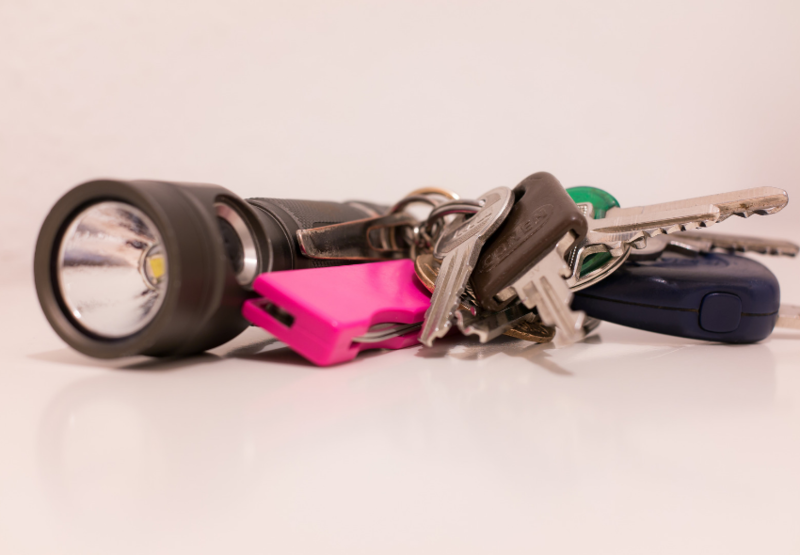 Check out the awesome collection of best stun guns and collapsible batons for yourself. Do not forget to buy this when you hit the market next. 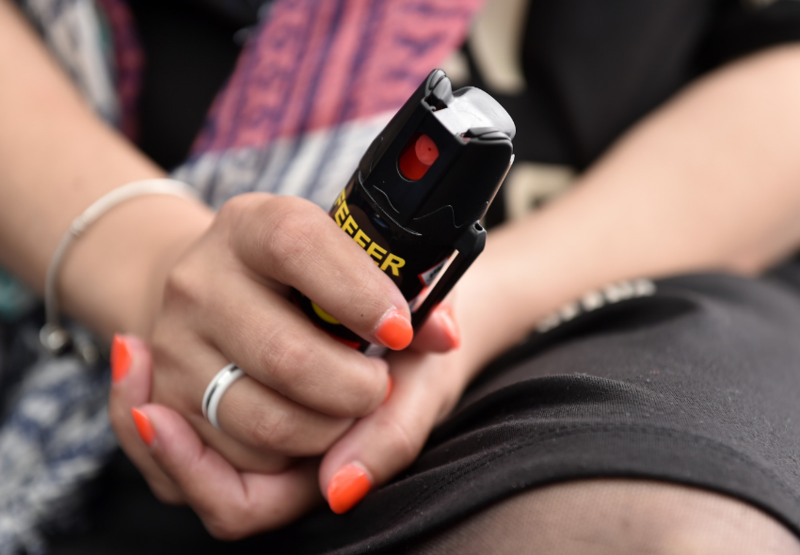 Once you find a good quality pepper spray, rest assured any attacker would not be able to move around. This does not mean you hang around waiting for the person to make a move. Leave the place as fast as you can once you have sprayed on an attacker. A good branded spray can throw up to 10-15 feet giving you the advantage to defend yourself at a good enough distance. I would suggest you keep a healthy stock of pepper spray with you like two to three canisters. You must practice how to use it effectively. The better you are at aiming and quickly disengaging the safety lid, the better positioned you are for self-defence. A tactical pen is a magnificent defence weapon, which delivers strong blows to the face, neck, or eye disabling the attacker to function properly for a while and allowing you enough time to run. However, as opposed to a pepper spray, which gives you an advantage of distance, this tool requires you to be in close proximity with the attacker to aim and hit. This might be a bit risky as a powerful heavier attacker might be able to foil your attempt at hitting them with the pen. A good strategy is to use tactical moves like surprising the attacker into moving a bit closer without hurting you. For example, start a conversation with indigenous phrases or feign submission before taking control of the situation. If you are looking for something less expensive, the Zebra F-301s is an excellent option. This handgun is probably one of the best self-defence tools around. A total stunner, it is a must-have for every woman. However, you need a little training to learn the operating mechanism and to aim well. With a handgun, you generally need to be alert, quick paced and attentive, to overpower your attacker easily. Register for a good firearms training course in your area and search a top quality brand for the handgun. You might also want to consider buying a penknife for yourself. This one is quite handy and comes hidden inside a writing pen. It works fine as the attacker cannot suspect you have got a knife hidden inside a harmless pen. Manufacturers shape such a tool like a standard pen with the pen tip. The top is removable, which contains a concealed knife; a sharp yet sleek and powerful knife blade having the ability to uplift your defensive moves. If you have spare money, then buy yourself this ultra-cool Lipstick Shaped 2 in 1 device for women safety. It comes with a built-in flashlight. This is bound to have your attacker thrown off with no idea that a lipstick could turn into a flashlight. You could flash the strong rays at them while you make for an escape. Measuring only 5 inches, this is innovative and highly portable. Costing around £10, it also includes a rechargeable battery for charging on the go. Is self-defence important to you? Do you take classes or carry self-defence tools?